Yet, many schools are cutting back on recess or not offering quality recess time. This may have unintended negative consequences, the Stanford University researchers cautioned. “Recess isn’t normally considered part of school climate, and often is shortchanged in tight fiscal times, but our research shows that [recess] can be a critical contributor to positive school climate in low-income elementary schools,” study co-author Milbrey McLaughlin, the founding director of Stanford’s John W. Gardner Center, said in a university news release. When planned well, recess can boost attendance as well as academic performance, the research showed. It can also help kids make friends, learn how to resolve conflicts and gain a more positive outlook about learning, particularly for those in low-income schools, the study’s authors noted. High-quality recess can also curb bullying among students, according to the researchers. Trained, full-time coaches were sent to six low income elementary schools to improve their recess programs. The coaches, teachers and principal from each school were interviewed. The researchers also conducted student focus groups and observed recess periods. They compared their findings to other schools with a variety of programs ranging from poor to very good. The study revealed that good recess programs rely on adult supervision and guidance. 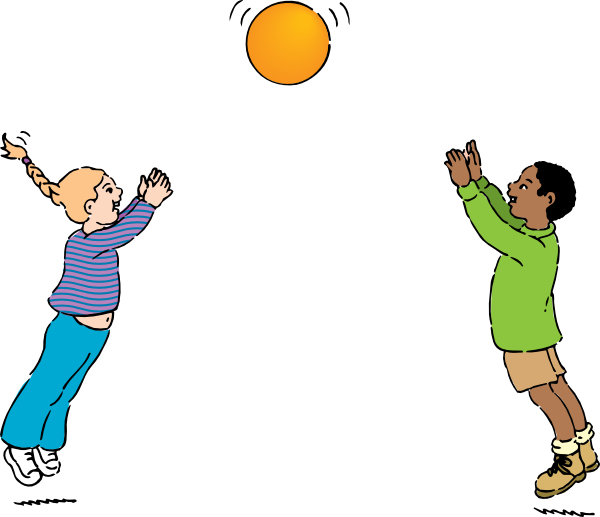 Conflicts can arise when children do not agree on games and rules. “In this study, the dose of running that was most favorable for reducing mortality was jogging 1 to 2.4 hours per week, with no more than three running days per week,” said study researcher Jacob Marott of the Frederiksberg Hospital in Copenhagen, Denmark. The best pace was slow or average – about 5 miles per hour, he added. Out of a pool of about 5,000 Danish adults, Marott and his colleagues followed nearly 1,100 healthy joggers and 413 sedentary people for more than 12 years. 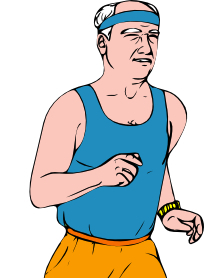 The joggers noted their hours and frequency of jogging, and their perception of their pace. The strenuous joggers, the investigators found, were as likely to die during that time period as the sedentary non-joggers. Light joggers and moderate joggers fared better, in that order. The findings were released online Feb. 2 in advance of publication in the Feb. 10 edition of the Journal of the American College of Cardiology. What is it about strenuous running that might be harmful? “We believe that long-term strenuous endurance exercise may induce pathological structural remodeling of the heart and large arteries,” Marott said. The new study has limitations, said D.C. Lee, an assistant professor of kinesiology at Iowa State University, who co-authored an editorial accompanying the study. A new British study finds that the typical person over 30 only gets the flu about twice every decade. “For adults, we found that influenza infection is actually much less common that some people think,” said study senior author Dr. Steven Riley, of Imperial College London. His team published its findings March 3 in the journal PLoS Biology. “In childhood and adolescence, it’s much more common, possibly because we mix more with other people,” Riley said in a journal release. For adults over 30, “the exact frequency of infection will vary depending on background levels of flu and vaccination,” he added. “This is the first time anyone has reconstructed a group’s history of infection from modern-day blood samples,” said Dr. Adam Kucharski, who worked on the study at Imperial College London. On the other hand, flu can sometimes be milder than many people realize. “Some people might not realize they had flu, but the infection will show up when a blood sample is subsequently tested,” Kucharski said. Women with multiple sclerosis (MS) have lower levels of important antioxidant and anti-inflammatory nutrients than those without the disease, new research finds. “Since MS is a chronic inflammatory disorder, having enough nutrients with anti-inflammatory properties may help prevent the disease or reduce the risk of attacks for those who already have MS,” study author Sandra Cassard, of John Hopkins University in Baltimore, said in a news release from the American academy of Neurology. The study included 27 white women with MS, aged 18 to 60, and a “control” group of 30 age-matched healthy white women. On average, the MS patients had lower levels of five antioxidant or anti-inflammatory nutrients: folate, vitamin E, magnesium, lutein-zeaxanthin and quercetin. Among the women with MS, average daily intake of food folate was 244 mcg, compared with 321 mcg among healthy women, the study found. The recommended daily intake is 400 mcg. Average daily magnesium intake was 254 mg among MS patients and 321 mg among health women. The recommended daily intake is 320 mg.
“C. difficile is a bacteria that causes severe diarrhea and damage to the colon, and is often triggered by exposure to antibiotics. Infections with C. difficile have become increasingly common over the last few decades and are seen in patients in healthcare facilities as well as people in their communities,” Michael Bell, MD, deputy director, Division of Healthcare Quality Promotion, National Center for Emerging and Zoonotic Infections Diseases, CDC, Atlanta, Georgia, said in a CDC telebriefing. “In the past, patients infected with C. difficile have had diarrhea related to antibiotic use that was often perceived as a nuisance, but not a major problem. Unfortunately, the type of C. difficile circulating in the US today produces such a powerful toxin that [it] can cause a truly deadly diarrhea,” Dr. Bell explained. These findings from the CDC were reported in an article published in the February 26 issue of the New England Journal of Medicine. “In the absence of a vaccine, future efforts to prevent C. difficile will cross health care settings and focus more on appropriate antibiotic use, which has been shown to be successful in decreasing rates of C. difficile infection in England, where a multifaceted program including antimicrobial stewardship was implemented,” the authors explain. “The prevention of C. difficile infection is a U.S. priority, with 2020 national reduction targets being established and all hospitals participating in the Hospital Inpatient Quality Reporting Program of the Centers for Medicare and Medicaid Services, which has reported data regarding C. difficile infection to the National Healthcare Safety Network since 2013,” they conclude. C. difficile is not a bacteria that is “circulating in the US today.” It is a normal commensal member of the digestive tract. Indiscriminate use of antibiotics over many years has caused “genetic drift” and created this monster in our guts. When additional antibiotics are used in a patient with the resistant strain, the antibiotic distorts the microbiome of the gut. This allows the C. difficile to take over. Too often, the result is death. Any vaccine that prevented C. difficile could have disastrous effects on the health of the gut. Let’s hope no one is short sighted enough to develop such a vaccine. 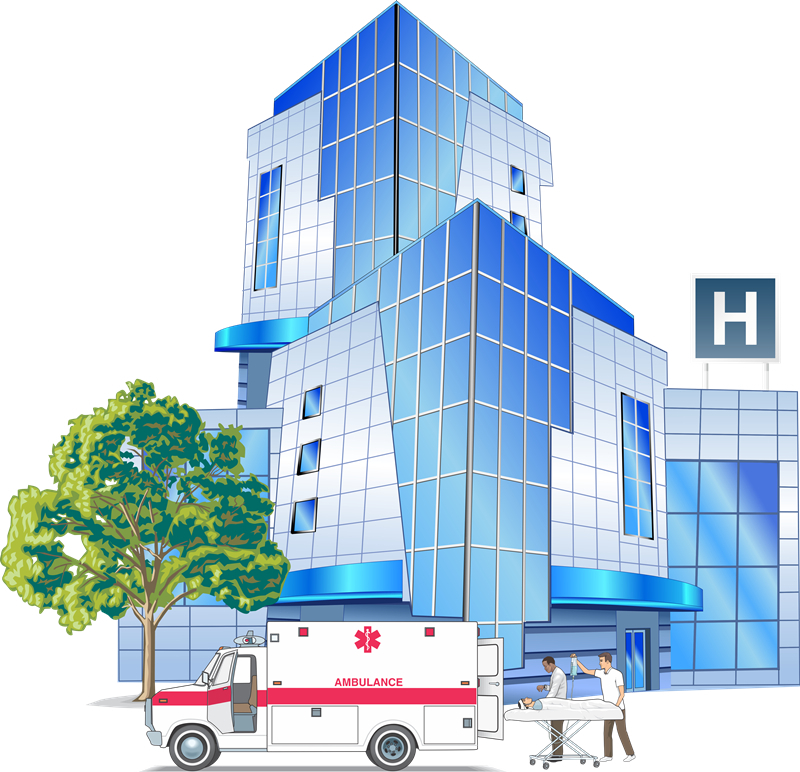 Most cases occur in hospitals when patients on placed on antibiotics as a precaution, regardless of the diagnosis. The “people in the community” are usually children given antibiotics for their cold or flu by pediatricians. 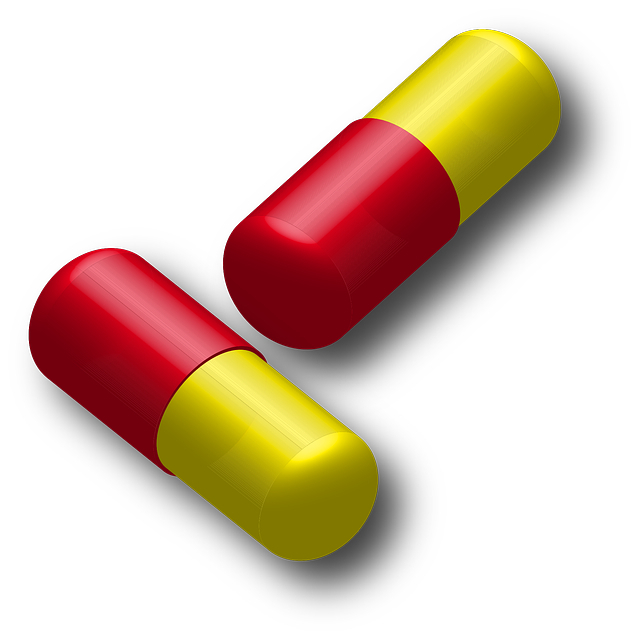 Of course the antibiotics are of little or no value in treating colds or flues, but are routinely prescribed. Please review my blogs “Serious Diarrheal Infection in Kids Linked to Antibiotics” posted March 14, 2014 and “Study Finds Many Flu Patients Not Treated Appropriately” posted on August 1, 2014. It was fascinating to watch the press and medical profession react to a couple of cases of Ebola here in the U.S. Meanwhile, there is no apparent alarm that we may very well create our own form of the black plague from indiscriminate use of antibiotics. The use of antibiotics must be specific and short term. Please do not allow your child to take them unless there is really good evidence to support the need. If you have had antibiotic therapy recently, please consult with a qualified nutritionist who will help support your microbiome. I successfully treated a couple of cases of C. difficile last year with basic nutritional supplementation. Spinning is cycling minus all the risk factors. You are on a stationary bike in an air conditioned room. There are no road hazards (think flat tires), no wind to ride against, no rain, and best of all – no traffic! While I suppose it is possible to fall off a stationary bike, in several years of classes, I have yet to witness such an event. I know competitive cyclists that do all their training in spinning classes to avoid the dangers of the road. It does not have the beauty of the road. My wife and I did a five day, self-guided tour of Vermont and Western Mass last summer and the scenery was remarkable. Our training rides at home are generally up and down A1A in South Florida with the Atlantic Ocean as a backdrop. To keep it interesting, spinning classes have an instructor guiding you through a workout of 45 minutes to an hour, varying intensity, speed, and bike position. If sitting on a bike is hard on your bum, spinning might be for you as you often get to stand and pedal. The class begins with a gentle warm up, then a series of simulated climbs and sprints to keep your heart rate up and burn calories. Each series is followed by a short recovery period to bring the heart rate down and allow you to hydrate. The bikes are equipped with computers to monitor your cycles per minute (CPM), watts of energy produced, calories burned, heart rate, millage, and resistance. The instructor uses resistance and CPM recommendations so you can mimic their efforts. I always wear my heart rate monitor as an additional guide through the class. I try to get up to my aerobic zone as soon as possible and keep my heart rate there for the first 10-15 minutes. As the intensity of the class increases my heart rate will go above my aerobic zone, but I never exceed my Vmax (maximum heart rate) and always return to my aerobic zone at least once every 10 minutes. In a 45 minute class I will generally burn about 500 kcal.